Gears of War developer Cliffy B has said that he would be hacking Microsoft's Kinect motion control tech if he were a teenage bedroom-based developer, applauding Microsoft's latest moves to promote user-generated Kinect demos and games. The Xbox 360 platform holder has launched a new channel on Xbox Live for those that want to create new Kinect experiences, although the word 'hack' is notable by its absence in any official Microsoft reference to Kinect Fun Labs. Kinect designer Kudo Tsunoda showed off Kinect Fun Labs at Microsoft's E3 presser – with the service already up now on Xbox Live for those that feel the need to tinker with the tech. "It's [PlayStation] Move that I dog on all the time, with its two goofy looking airplane coming in things, right? Less plastic on my coffee table is a good thing as far as I'm concerned. I'm a fan. "I've been asked about integration into Gears and if we had put it into Gears 3, considering the development timetable, it would have been a tacked on feature. If we were to get around to doing something Kinect-based, we'd want to be dedicated to it and really knock it out of the park." 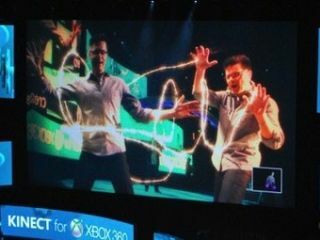 You can see the full details on Microsoft's E3 2011 conference in our earlier news feature.